What do James Yap, girlfriend Michelle Cazzola, Ara Mina, Edu Manzano, Rita Avila, Roxanne Barcelo, Kitkat, Aubrey Miles, Troy Montero, Maria Isabel Lopez, Evangeline Pascual and Nonie Buencamino have in common? Answer: They the value of good health and exercise to stay fit. 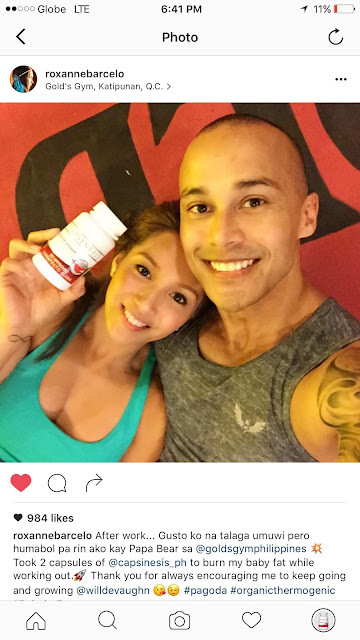 They’re also brand ambassadors of Capsinesis, a natural food supplement whose main ingredient, cayenne pepper, helps in losing weight and gaining health. Rita says it promotes faster metabolism and weight loss. In his Instagram post, Edu describes Capsinesis as “your weight loss partner.” Roxanne takes two capsules when working out in the gym with boyfriend Will Devaughn. That’s because the six to 10 chili peppers (equivalent to 500 mg) in each capsule, along with green tea and wild berries join forces to burn fat faster than usual. 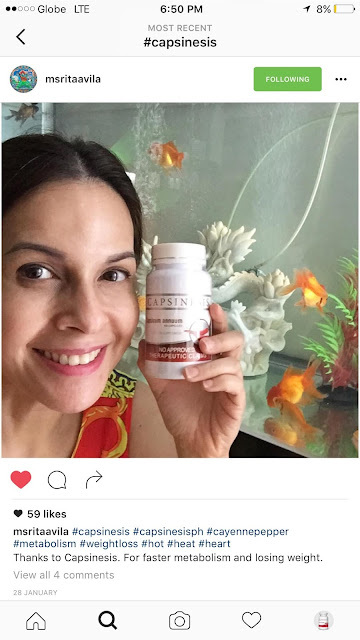 Coach Jim Saret, who heads FIT Filipino Movement, which aims to make one million Filipinos fit, says that Capsinesis, combined with healthy diet and exercise, works four ways. ”You can take it before working out,” he says. “This way, you induce sweating faster. When you’re sweating, your metabolism moves up. You can even mix it with your favorite protein shake,” Saret adds. It also fast tracks urine rate and bowel movement, thereby cleansing the body even further. The brand ambassadors not only look good, because their skin glows and they have enviable figures. Thanks to diet, exercise and regular intake of Capsinesis, they feel good inside. For details, check out Capsinesis’ Be Hot Stay Hot FB page and the Capsinesis Healthy Transformation support group. Capsinesis is available at Mercury and Watsons drug stores, SM department stores, South Star Drug, Rose Pharmacy and Three Sixty.